Wolves take all three points back after their first visit to Wembley in over 30 years after a memorable performance. Tottenham Hotspur were on the receiving end of the weekend's shock Premier League as Wolverhampton Wanderers secured a 3-1 victory. Wolves pulled off a stunning second-half comeback after Harry Kane put the home side ahead with a sumptuous strike from range. However, the Wanderers showed similar fight to what they did in the reverse fixture at Molineux Stadium in November. Despite a poor showing from a high-flying Spurs side, it was to no injustice that Wolves took the three points back to the Midlands. The home side enjoyed the opening half an hour, playing their usual free-flowing football which saw them take the lead and almost double the score. However, for the remaining hour of the game Spurs were left frustrated by a solid defence which proved tough to penetrate. Wolves may have considered themselves hard done by had the result of not ended as it did when they were denied a penalty after the ball deflected off Ben Davies' arm. The second half saw the visiting side take a firm hold of the game as they looked like the only side capable of winning the game. The visitors are known for their lightning speed on the counter-attack with players such as Adama Traoré and Hélder Costa in their squad. The second-half, in particular, showcased how brutal the pace can prove as Costa ran clear of the Spurs defenders to finish the home side off. Although the away side enjoyed control over the second-half they still looked most dangerous on the counter-attack as they proved a constant threat to both Kieran Trippier and Ben Davies. 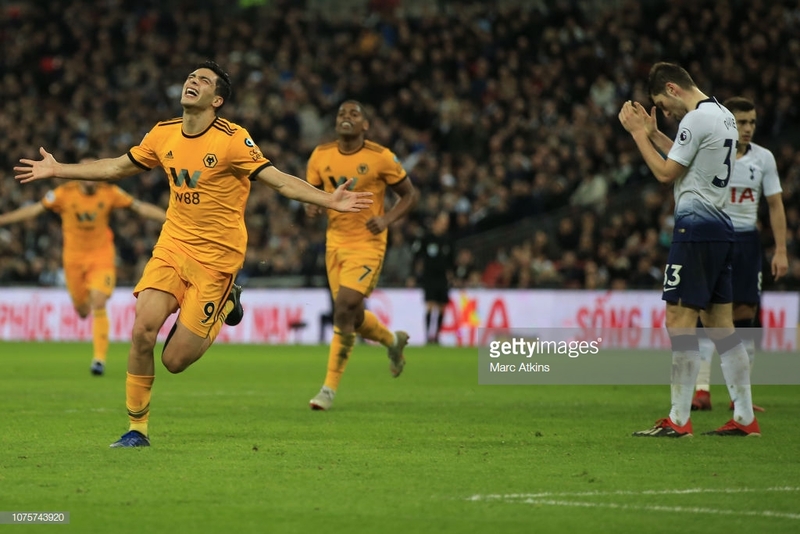 As the game progressed and Wolves had drawn level it was evident to see the away side grow in confidence and bravery as they realised there was more than just a point up for grabs. “When you have the ball you can change the reality of the game. Being brave is important in these kinds of situations." Where does this leave Spurs? Well, following the result at Anfield it leaves Spurs a hefty nine points adrift of the leaders Liverpool. Although there is a long way to go in the season it seems Spurs may have blown their chances at the title. A sombre Mauricio Pochettino spoke to the media after the game and his clear emotion of disappointment could suggest he believes their title charge is over. However, Spurs cannot afford to dwell on the result as should Chelsea win on Sunday they will move within two points of the Lilywhites. Spurs still have a lot to play for this season, yet to be knocked out of any competitions it still could be the season where Spurs end their trophyless run.